The Crockpot does it again! You all know how much I love my Crockpot. I use it for everything from baked potatoes to short ribs. But my very favorite thing to do with the Crockpot is take a really big, complicated recipe, like lasagna. and find a way to let the slow cooker do the work for me. And now, I’ve done it again…with carnitas. 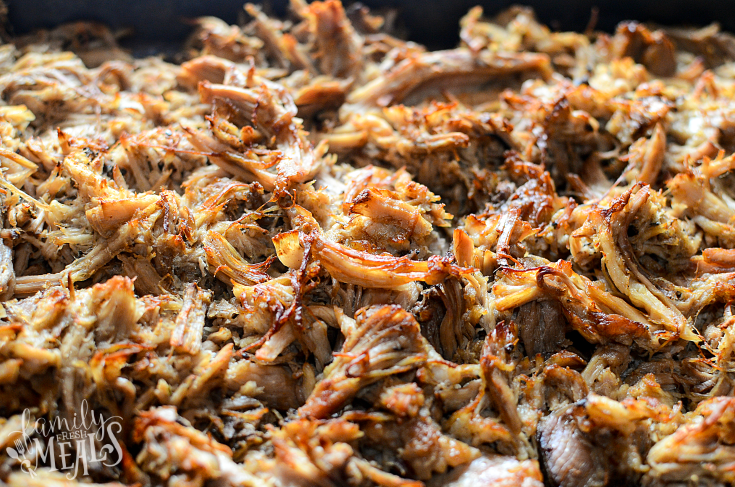 The secret to good carnitas is a long, slow cooking over low heat. Traditionally, you do this in a big, heavy pot, and you stir the seasonings into the oil and then let the pork cook over a really low flame until it’s falling apart. Then you turn up the heat briefly to sear it, and you end up with meat that’s crisp on the outside, but tender enough to pull apart with a fork. 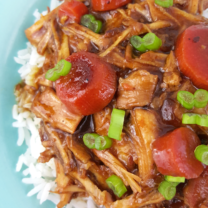 Well, this sort of long, slow cooking is exactly what the Crockpot is made for. So you don’t have to watch a pot for hours; you just let the meat cook on low, and once it’s falling apart, you zap it in the broiler to get those delicious browned edges. You can enjoy this in a taco or burrito, or just serve it up by itself with all the fixings: tortillas, refried beans, guacamole, and some of my fresh Pico de Gallo salsa. 1. 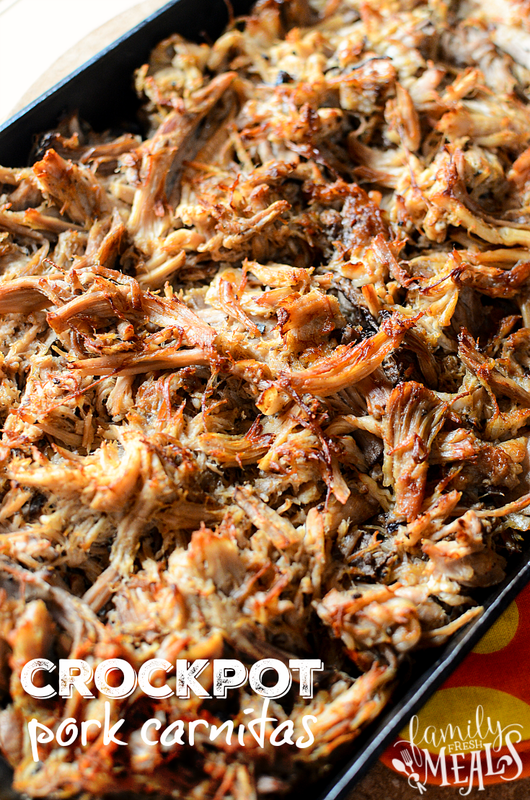 Place the pork shoulder in the slow cooker. Mix together chili powder, cumin, oregano, salt cinnamon and black pepper. Sprinkle seasoning on each side of the roast, and rub in. Next, add in mined garlic, orange juice, lime juice, chicken broth and bay leaf. 2. Cover and cook on low for 8-10 hours. It should fall apart easily. 3. Preheat broiler. Line a baking sheet with aluminum foil. 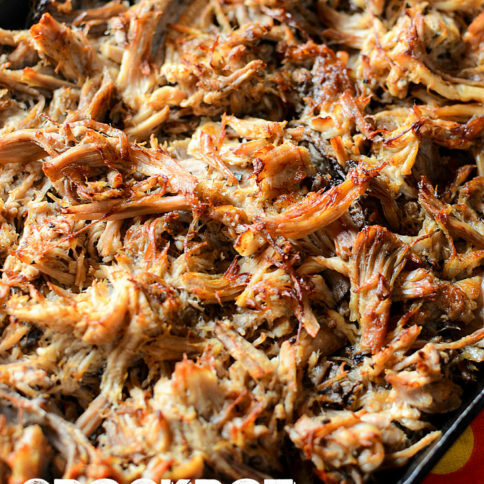 Place the shredded meat on the cooking sheet and pour a few spoonfuls of sauce over the top of the meat. Broil for 5-10 minutes or until you get browned edges on the pork. 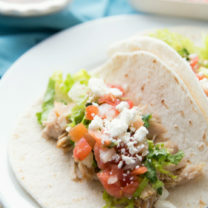 These Crockpot Pork Carnitas Recipe can be enjoyed in a taco or burrito, or just serve it up by itself with all the fixings! 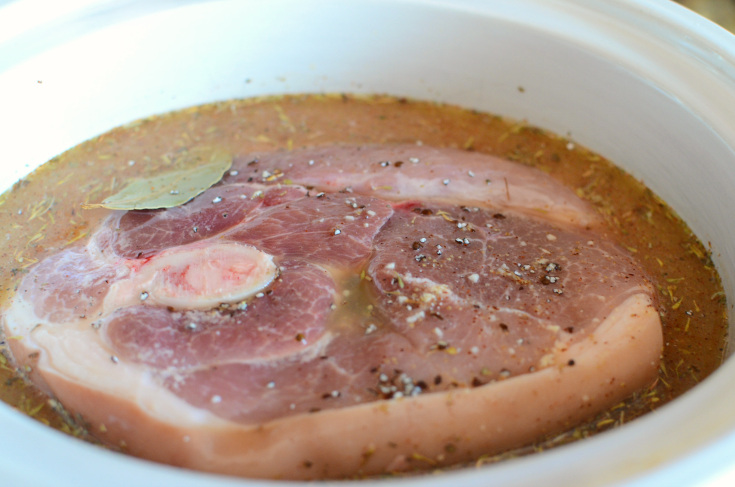 Place the pork shoulder in the slow cooker. Mix together chili powder, cumin, oregano, salt cinnamon and black pepper. Sprinkle seasoning on each side of the roast, and rub in. Next, add in mined garlic, orange juice, lime juice, chicken broth and bay leaf. Cover and cook on low for 8-10 hours. It should fall apart easily. Preheat broiler. Line a baking sheet with aluminum foil. 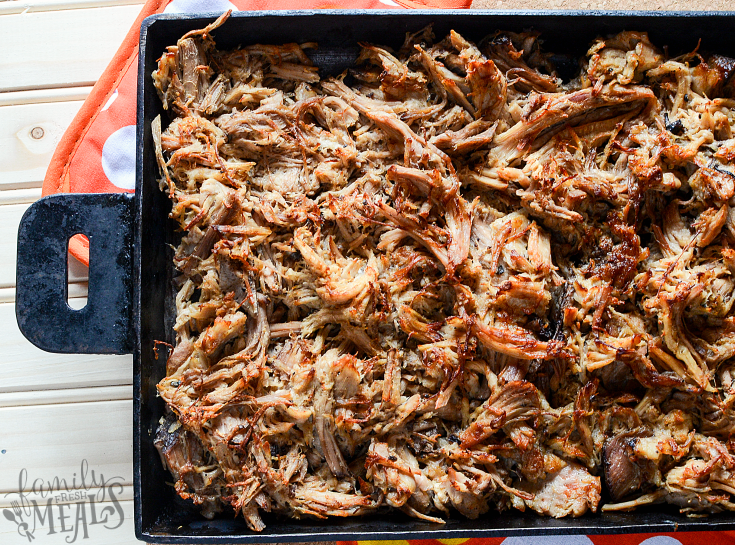 Place the shredded meat on the cooking sheet and pour a few spoonfuls of sauce over the top of the meat. Broil for 5-10 minutes or until you get browned edges on the pork. Made the crockpot pork carnitas tonight. One word – AWESOME!!! So easy and my whole family LOVED them. I hate to admit this, but how do you serve pork carnitas? It looks wonderful, and I plan to try this. Is it served in tortillas, or what? Yes! In tacos, burritos, on top of rice, on top of salads, or in a sandwich wrap. When you say “pour a few spoonfuls of sauce”, do you mean the sauce in the crockpot? Does it matter if it’s not boneless? I bought a pork shoulder with bone in. Thank you. ? Would it cook okay on high for 4-6 hours? 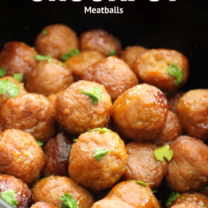 I have only made this recipe are stated Cherie, so I can’t say for sure. Has anyone else out there tried cooking it for 4-6 hours? 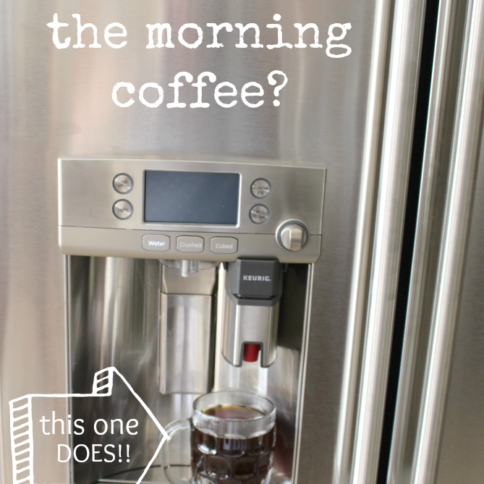 Leave a reply to this comment to let us know! I cooked mine on high because it was partly frozen lol. It was done in 5 hours. I then turned it on warm, and then put under broiler. ?? I cooked this on low for 10 hours last time I made it and it came out beyond perfect! So soft and delicious, take the time to allow it to cook. I thought this was quite mediocre. I guess i should have expected it with so little prep. The cinnamon was a bit strange and it just was lacking something. I cant put my finger on it. Meat was plenty tender but just not all there. Not bad i suppose for such little prep. Hi, I’m planning on making this for meal prep next week. I have a 4oz crock pot. Will that work? This was absolutely delicious! When I was frantically putting this together before work, I realized I didn’t have chicken broth. I did a quick search and discovered you can add a tablespoon of soy sauce per cup of water, so that’s what I did. I served this on corn tortillas topped with cheese, sour cream, avacado, and a bit of salsa. Absolutely delicious, and even my five year old approved! My husband forgot to put away the leftovers quickly enough because our German Shepherd got to them, but how can we be mad at him for being tempted by delicious meat? 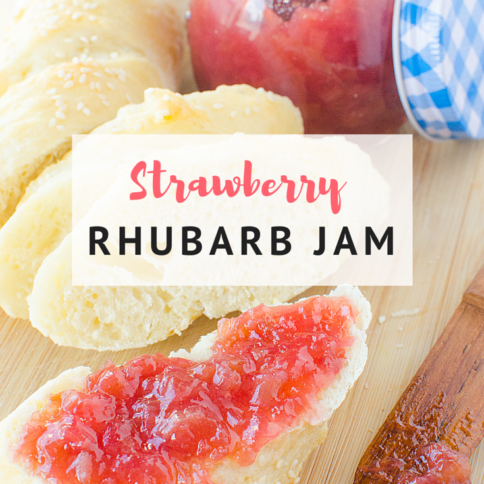 Thank you for the recipe and this will go in our rotation. It looks like a nice, easy version. However, if one is a beginner, how does one know about the shredding of the meat with two forks? Food for thought, maybe? Could you use a pork loin instead of the shoulder?